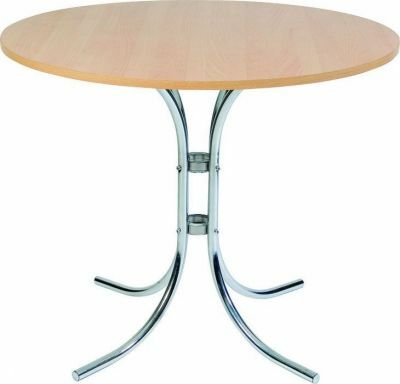 Traditional design circular cafe table with an attractive four leg chrome base. Manufactured to a high standard, for use in commercial areas. Held in stock for a free 2-3 day delivery. Traditio[nal design all in one cafe bistro table, delivered with the table base and top separate for a simple assembly.